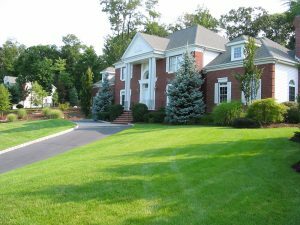 Do you know what the advantages are, when you hire a local company to take care of your landscaping, Reston property owners? If that landscaping company is Green Hill Landscaping, then there are plenty of advantages. First off, since we’re based in Great Falls, we understand all about the specifics of the area. We know what the weather and climate are like, we know what species of turf, flowers, and trees do best here, and we understand the particular characteristics of the soil. Secondly, since we’re a landscaping company founded on honest principles of hard work and determination, we also genuinely believe in giving back to the community. 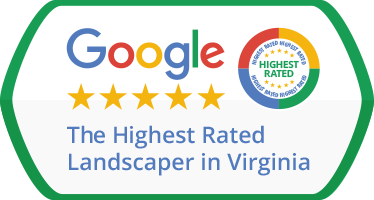 In our effort to become the area’s top landscaper, we regard our commitment to quality as an investment for the long run. We plan on being in the landscaping business for a long time and that means that, once you work with us, you can be sure we’ll be able to handle your landscaping needs for many years to come. We’re not one of those landscape companies that just mow your lawn – we’re specialized and offer the complete range of services, including aeration & overseeding, fertilization & weed control, mulch installation, and irrigation services. Aside from these highly specialized services, we can also be called on for a simple lawn mowing plan – but one which you can be assured will be properly executed. We’ve got the requisite expertise not to damage your lawn through mowing and we will also never lock you down into a contract which has you paying for services you don’t really need. We bring you the art of landscaping. Reston VA and surrounding areas. Landscape maintenance and fertilization & weed control are our main areas of activity. We are qualified to install and maintain landscape lighting and, if need be, can also handle flower planting for our clients. In terms of lawn mowing and lawn maintenance, we’ve got you fully covered: from mowing to trimming, close edging and leaf blowing, we will take every precaution necessary to ensure your lawn stays healthy, with a strong root system and entirely dethatched. There’s no need to take our word for it, when it comes to top quality landscaping– check out our client testimonials, then give us a call to try us out yourself!